Earlier this month Rihanna shocked her fans by getting a traditional maori tattoo performed with a chisel and mallet. We didn’t like it..Rihanna didn’t either. 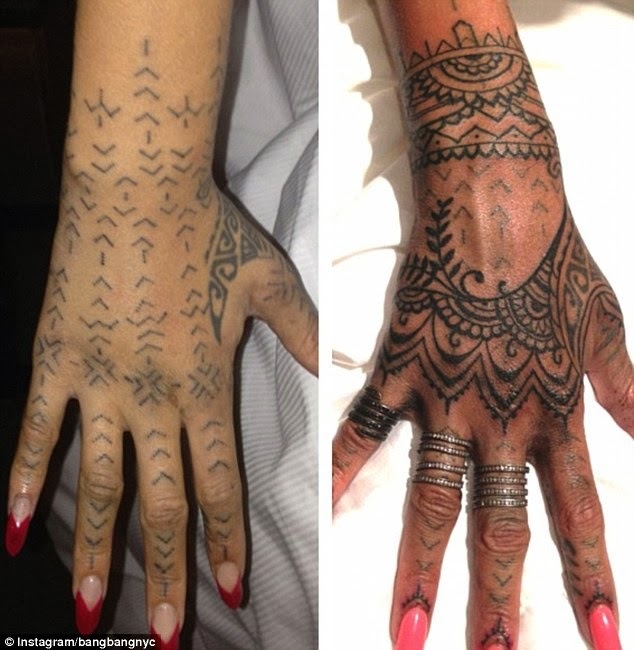 She sparked concern when she had a traditional New Zealand tattoo on her entire hand..It is a very painful procedure as a chisel is used to create the patterns..According to reports, Rihanna was so over her maori tattoo that she flew her New York tattoo artist Bang Bang to the Dominican Republic to cover it between tour dates!